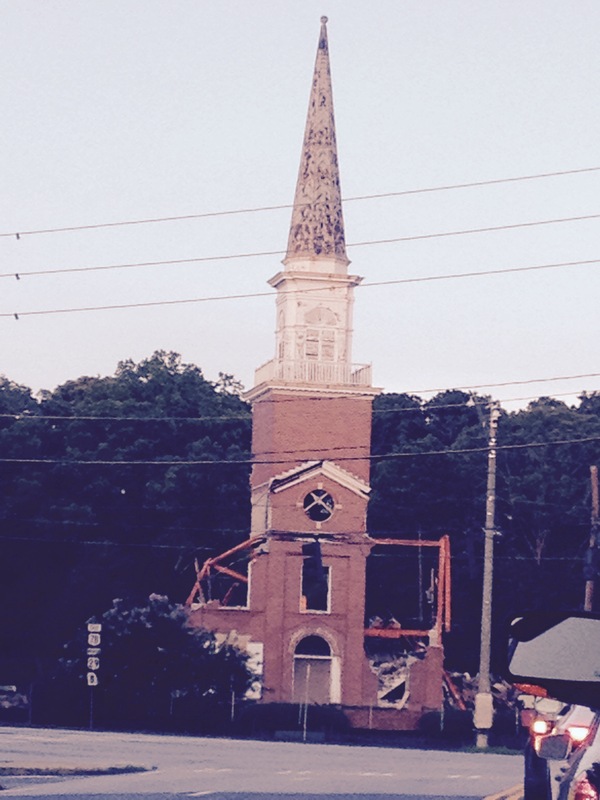 I was touched by your sadness, both of your leaving your church and the tearing down of the other church building. Even though they say that church is the people, sacred places of worship hold and retain our prayers and our memories. Remember those 50th anniversary pictures I shared with the group from “H”? Because we chose to renew our vows in the old chapel at Grace Church, I felt the presence of the saints of ages past anchoring us there. I know that we had other options, like renewing our vows at the beach, or in a park etc. but I wanted to renew our vows in that old stone church with the stain glass windows. I guess at heart, while I call myself progressive, tradition still becons me to old sacred sites. I get it. The first church where I served as rector, people would say (because it was true) “the church is so beautiful!” and I would respond “it is. The building is nice too.” And so I understand in a profound sense that the building is not the church–the people are. But you are also right, the sacred sites are sacred for a reason. The bones, the walls, have memories too, I hope. Thanks Howard. The lots make me sad (and angry). And yet, I guess, they too, at the end of the day, are just buildings. Thanks for your kind words!! This is so beautiful to me. I got teary at the end. And so appropriate for Tisha B’Av coming this weekend.